It's been a big week for Drake. Reports from earlier this week showed that he is the first artist to hit 10 billion streams on Apple Music. He and Migos had to push back their tour dates and Shiggy jokingly confronted Drizzy over the "In My Feelings" challenge over a $250,000 USD check. Now, Drizzy has shared his brand new music video for "Nonstop." The visual for the Tay Keith-produced single finds Drizzy performing the track at his London show and hanging around different locations in the city such as at the museum, a nightclub and an outdoor restaurant. 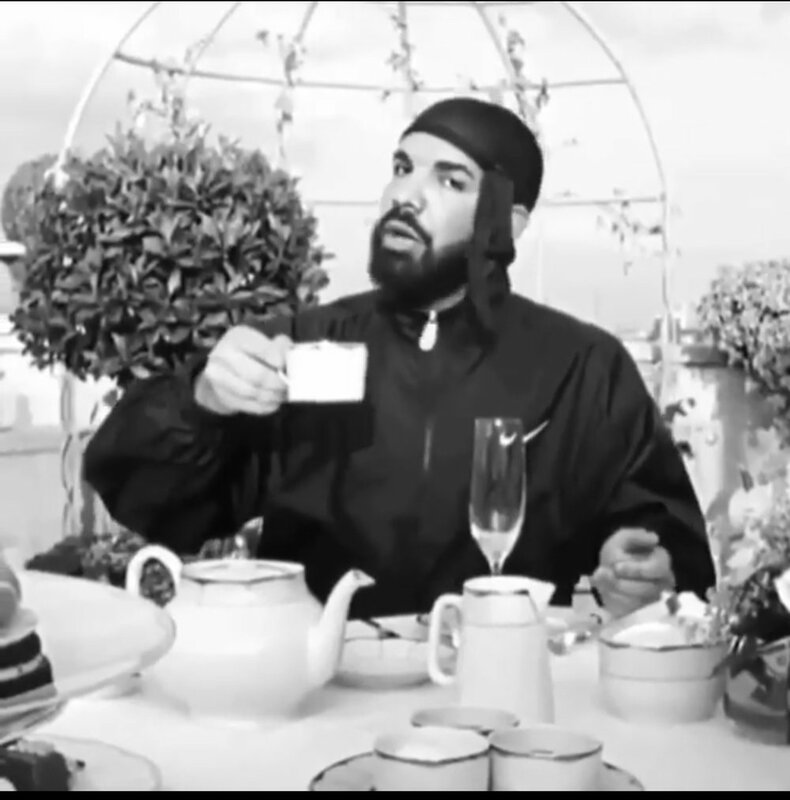 The 6 God is seen doing common British things such as sipping tea and riding atop a double decker bus in the black-and-white visual. Fellow rappers like Quavo and French Montana make cameos as well.